On September 5 – 9th, 2017, the long-standing XXIV Brazilian Congress of Oral-Maxillofacial Surgery and Traumatology (COBRAC) celebrated the prestigious annual event, attended by thousands of scientific professionals around the world. Dr. Simon, co-director of FACIALTEAM and chief surgeon, was honored to accept an award in recognition of his career of achievements in FFS Surgery. In addition, he joined the forum as a keynote speaker on the latest developments in the feminization of facial features, also known as facial gender confirming surgery. 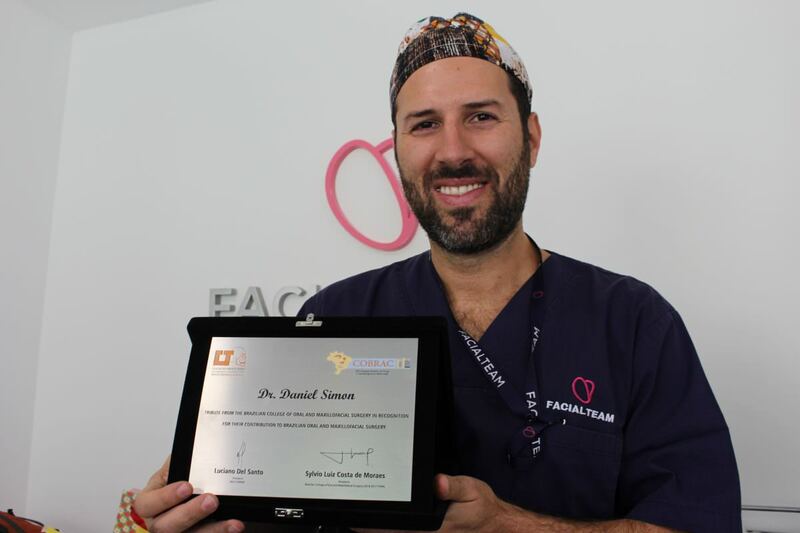 FACIALTEAM recognized for achievements in FFS at International Congress in Brazil. 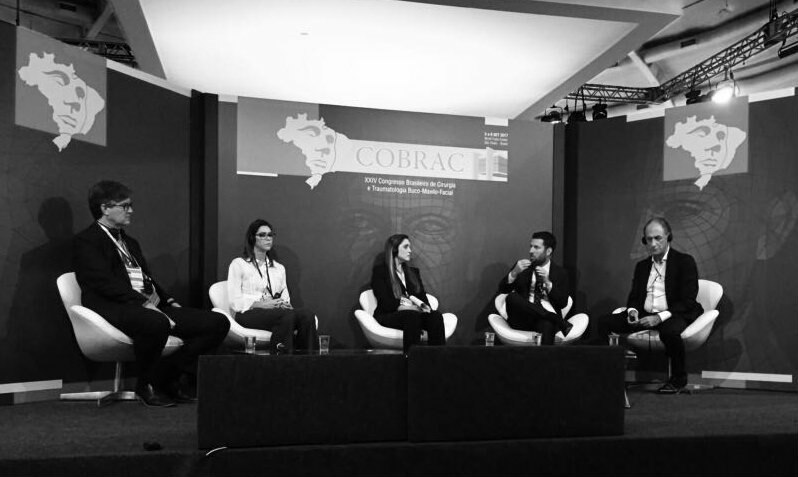 COBRAC is one of the most important congresses in maxillofacial surgery in Latin America. In it´s 24 th year, the international event welcomed more than 2,200 professionals interested in facial reconstructive surgery. Dozens of scientific papers in different areas were presented by specialists recognized for outstanding contributions in the medical field. See more photos of this year´s COBRAC event. 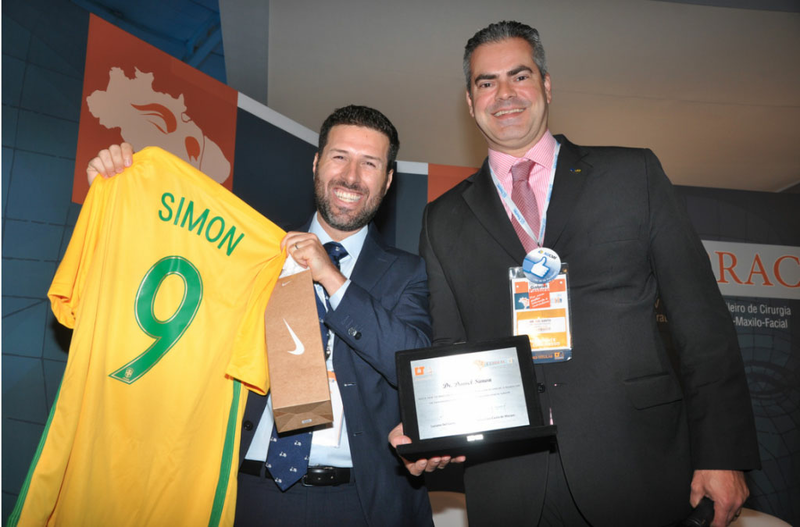 At the event, Dr. Simon proudly accepted a plaque from the Brazilian College of Oral and Maxillofacial Surgery and Traumatology, of which he is a member in good standing, in recognition for his outstanding career of achievements in FFS. In his role as co-director and co-founder of FACIALTEAM, a group of experts in facial feminization surgery, he has contributed significantly to the field of transgender surgery. Since 2007, he has performed more than 2,000 facial feminization procedures with FACIALTEAM, developing pioneering techniques in this sub-specialty of maxillofacial surgery. At the event, Dr. Simon also had the pleasure to participate as one of the guest speakers of the main forum on aesthetics and feminization in which different clinical and technical aspects of FFS surgery were discussed. Thanks to his extensive experience and achievements in FFS alongside his partner, Dr. Luis M. Capitán Cañadas, Dr. Simon presented an impressive clinical study based on more than 650 patient cases. In his talk, Dr. Simon explained that nowadays facial feminization surgery should follow the philosophy of maintaining a natural appearance in order to encourage social integration. The final goal of facial feminization surgery is that each patient is more easily recognized externally in their true gender identity with the aim of a better quality of life: as free as possible of dysphoria, suicide attempts or fear of discrimination and transphobic violence still common in society today. Facial recognition is an automatic, unconscious reflex which often leads to a specific gender perception, a fundamental element to understand in order to meet the growing expectations of FFS patients: to be not only more feminine, but also natural. The tendency for naturalness in results requires specific techniques to hide the scars, not only to optimize the potential of the results yet also facilitate the recovery of the patient. Achievements in FFS include the application of new oral and maxillofacial techniques in facial feminization, such as those employed in mentoplasties (chin surgery) and jaw remodeling, which reduce surgical time as well as minimize trauma, speed recovery time and therefore lessen the risk of complications. FACIALTEAM is a center of excellence in facial feminizing treatment, respected internationally for its continuous effort to offer patients the best service. Its success is due both to numerous success cases, natural results, as well as the firm commitment to research in Facial Gender. In 2015, FACIALTEAM created its own R&D department, a pioneering project in the global field of facial feminising surgery. The main mission of this initiative is to establish a modern scientific basis for this health discipline while innovating complementary treatments and improving surgical approaches in facial feminization surgery. Visit FACIALTEAM´s blog to learn more of the scientific publications produced by the team as well as their upcoming appearances at medical conferences around the world.